Do you have a Teenage Mutant Ninja Turtles lover in your house??? Then you have got to introduce them to the new T-Machines collection of die-cast vehicles and playsets from Playmates Toys that provide a unique play environment for kids. The fast-rolling vehicles feature a die-cast chassis, flashy rims and an action-posed, non-removable figure driving each vehicle. Just press the button on the engine block and the vehicles come to life, playing 10-15 different Turtles phrases and vehicle sound effects! 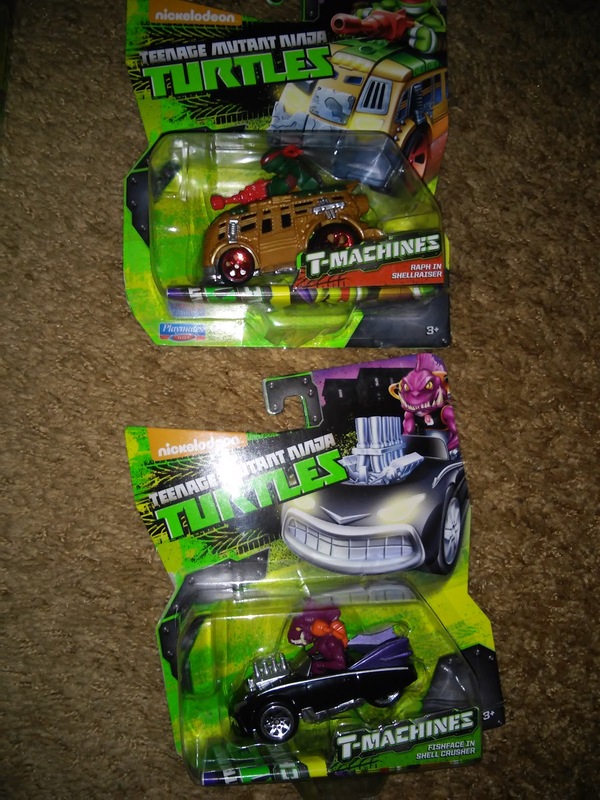 Each 1/50 scale vehicle comes with a non-removable Ninja Turtle driving the vehicle. Vehicles are designed to capture the personality of the characters driving them. 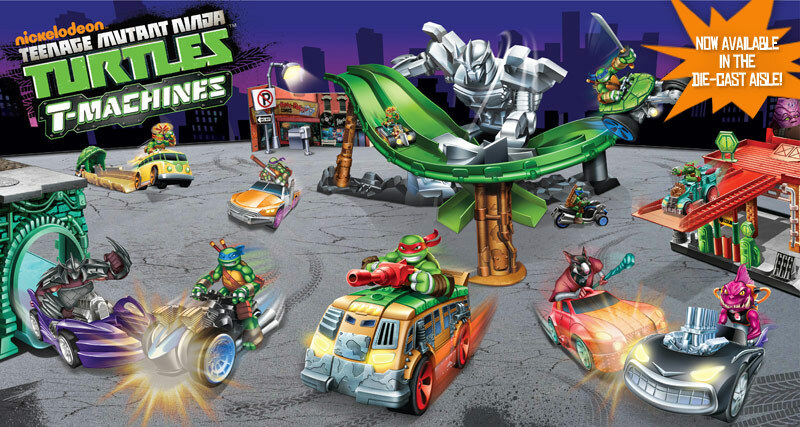 Featuring a die-cast chassis, flashy rims and unique custom look, these fast-rolling vehicles bring a whole new level of play to the Turtles world. And all the vehicles are compatible with leading competitors track systems. 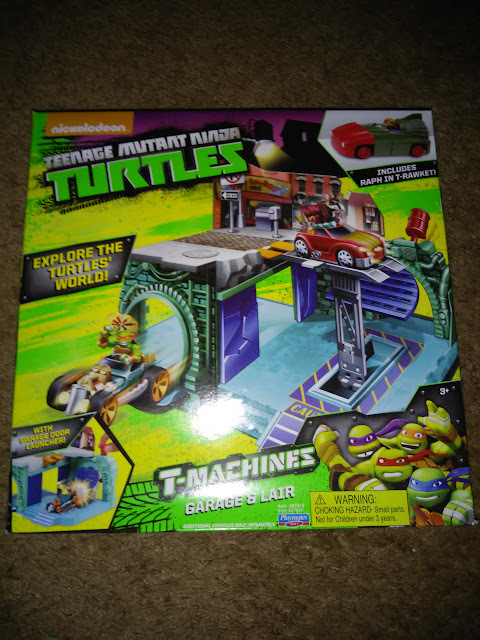 Kids can start building out cities with the T-Machines Garage & Lair Playset, Sewer Gas Station Playset and the TCRI Building Playset. Each playset includes tunnels, lifts and many other features for kids to roll and battle their T-Machines vehicles! The playsets can also be snapped together to create a bigger T-Machines play environment. 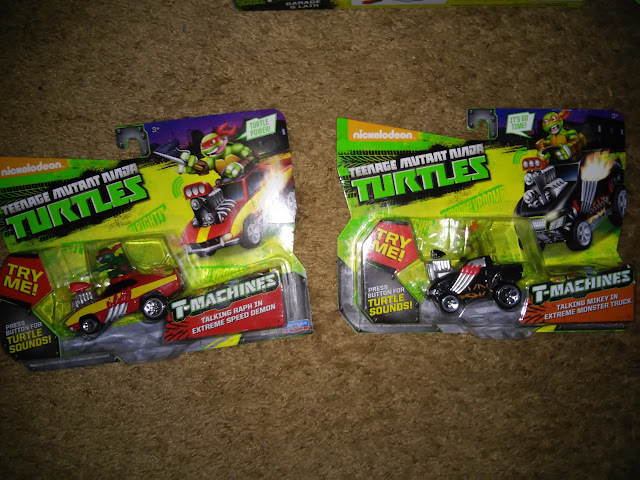 Plus, they are all compatible with all T-Machines vehicles, each set come with an exclusive T-Rawket vehicle (Garage & Lair comes with exclusive Raphael in T-Rawket vehicle and Sewer Gas Station comes with exclusive Mikey in T-Rawket vehicle). 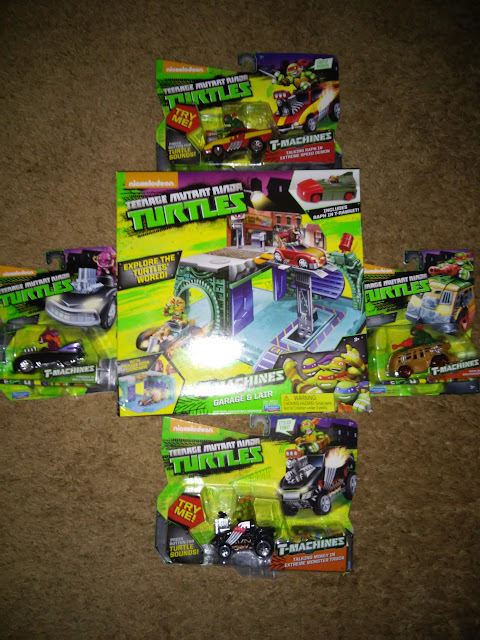 We received the Garage & Lair Set! With this set, explore the Turtles' world with two levels of play: surface street level or underground lair and sewer tunnel level! Plus, you also get the exclusive Raph in T-Rawket figure! Additionally, be sure to check out the new T-Machines Street Racers game at http://www.tmachinesracers.com/. You’ll be able to select a T-Machines vehicle, choose your track and your vehicle’s speed as you race! Playmates Toys is generously offering (1) set of T-Machines to a lucky winner!